Thanks to an active Board of Directors - and many of you - the Big Ten Club of Southern California remains an active and vibrant one. Please take a few minutes to read the February newsletter and learn about several exciting Club events that the Board is now working on to offer our members (i.e., you!). One event that you won't want to miss is a special screening of the movie Hoosiers on Sunday afternoon, March 13 featuring special guest Maris Valainis, who in the movie played Jimmy Chitwood (who makes the winning shot at the end of the movie). Considered one of the best sports movies of all time, this event will be a great way to kick off March Madness while celebrating this great movie. Register here. The January newsletter announced the date of Wednesday, April 13 for the annual Person of the Year Dinner with Sherry Lansing, former CEO of Paramount Studies. Prior to her appointment at Paramount, she served as president of 20th Century Fox and was the first woman to head a Hollywood studio. During her highly successful tenure at Paramount from 1992-2005, she oversaw the production and release of such hits as Forrest Gump, Braveheart and the highest grossing movie of all time, Titantic. Now as head of the Sherry Lansing Foundation, formed in 2005, she leads an organization dedicated to cancer research and public education. Register here. Until March 1, registration will be limited only to Big Ten Club members and their guests but, after that date, the dinner will be opened up to non-Club members. Registration is now live for our annual service project at the Los Angeles Regional Foodbank on Saturday, March 26. Co-sponsored with the Northwestern University Club of Los Angeles, this is a great way for the Club to advance our good name in Los Angeles while also helping to 'give back' to the Los Angeles community. Register here. As always, make sure to check this website for the latest Club news and happenings. And should you have any thoughts or ideas to share with me, please contact me at 626.334.5676 (home) or email Jim_Jacobs@hmc.edu. We look forward to seeing you soon at an upcoming Club event! Join us Sunday March 13th for a special 25th anniversary screening of the basketball cinema classic Hoosiers. The evening will also be topped off with a Q&A session from the film’s game winning star Jimmy Chitwood (Maris Valainas). Proceeds from this event will go to the Variety Boys & Girls Club of Boyle Heights for a new gymnasium. Don’t miss your chance for a fun filled family friendly Sunday afternoon. RSVP HERE. We have fun. We do good. We'd love you to volunteer with us Saturday morning, March 26th, for our Club's annual community service project at the Los Angeles Regional Foodbank. Please RSVP by 3/20. Our goal is to have 50 Big Ten friends to volunteer. The Foodbank is a non-profit organization that solicits, stores and distributes donated food and grocery projects to charitable agencies throughout the Greater Los Angeles area. As we've done in past years, we'll sort, clean and repackage donated items for a morning under the direction of the Foodbank staff and then, if there's interest, we'll head off to lunch at a local restaurant. This is always a rewarding event to participate in, it's free, and you will receive good karma for another year. Please note: the minimum age to volunteer is 14. Northwestern alumna Sherry Lansing is a former actress and American film studio executive. In 1984, she was the first woman to head a major film studio when she was named president of 20th Century Fox. Later, as an independent producer, she was responsible for such successful films as Fatal Attraction, Indecent Proposal and The Accused. She returned to the executive ranks in 1992 when she was appointed head of Paramount Studios, and during her highly successful 12-year tenure oversaw such hits as Forrest Gump, Braveheart and Titanic, the highest grossing movie of all time! In 1996, she became the first woman studio head to receive a star on the Hollywood Walk of Fame and in 2005, became the first woman studio head to place her hand and foot prints at Grauman's Chinese Theater. In 2001 Ladies Home Journal named her one of the 30 most powerful women in America. Her immense talents and energies are now devoted to the Sherry Lansing Foundation, a nonprofit organization dedicated to cancer research and supporting public education, art and culture. Stand Up To Cancer and the EnCorps Teachers Programs are just two of the foundations initiatives, benefitting our local communities. Sherry is married to the director William Friedkin, who won an Academy Award for The French Connection, and has directed over 30 other movies including The Exorcist, Rules of Engagement and The Hunted. The Club is also delighted that Len Roth (Michigan State), a former Big Ten Club president and long-time volunteer, will be recognized with our Member of the Year Award. Len has served the club well for many years and this will give us the opportunity to say an official thanks to him for all that he has done. Until March 1, only BTC members will be able to register. After March 1, the dinner will be open to non-club members and may quickly sell-out so we encourage you to register now. It’s a 3 hour tour hosted by Indiana University Los Angeles Chapter. The tour is 10:00-1:00 and we need to be at the dock between 9:30 and 9:45 to check in. It is $10 for Big Ten Club and Indiana University Alumni - both children and adults (regularly $23). After the whale watch, we will head to Nadja's for burgers and beer if you are interested. To reserve your spot, email Cindy Strong at csstrong14@aol.com no later than March 10th. Please be sure and register so we can send you any last minute changes. IUAA Los Angeles has a new game watch home. Please join us at Capitol City and be sure and tell them you are with Indiana University for Happy Hour prices. Capitol City mgr Brian Shober is expecting us. Come show your Michigan character and volunteer with fellow alumni! 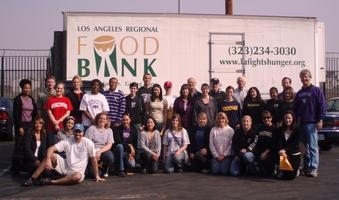 We are teaming up with Foothill Unity Center and Feed the Children for a special day of food sorting and distribution. We will be stationed at Avon Distribution Center and helping to organize and hand out food packages to needy families. No experience necessary! Just a kind heart and a willingness to help out. Wear your Michigan gear and look for Robynn Leidig (UMCLA Membership Chair) or Raina (Foothill Unity Center) to let them know you are there to help out. Hope you can join us! In 2010, the Kings won this season's first meeting with the Red Wings at Staples Center in an overtime thriller. Now that its 2011, join us for their 2nd and last clash of the year and see who will come out on top. The best part is that we're offering tickets at a great discount to Alumni Association members. These events always sell out and we only have 50 seats available for this game, so please buy your tickets today! Tickets will be mailed to the address that you provided approximately 10 days before the game. If you would like to purchase additional tickets as the game date approaches, simply order them online and all of your seats will be located together. If you have questions, please contact Andy Chidester at abc@umich.edu. Stay tuned for details on our Winter/Spring 2011 event schedule, including Long Beach wine tasting and a LA Kings hockey game. Not yet a UMAA member? You can also join or renew your membership in the University of Minnesota Alumni Association through our website. Scroll down to the bottom of the above page and you will find links to the membership forms for new and renewing members. Make sure to use campaign code NP4LA when you register! The LA PSU chapter has been an avid supporter of Hillsides for 21 years, and volunteers annually for the primary fundraiser of this foster care children’s charity. Join us from 4 to 11PM as greeters, runners and auction assistants, and help ensure the event runs smoothly. Please patronize the establishments all year that support Penn State during football season!! Viewing location TBD and provided on receipt of event payment. $10 Members/$12 Non-Members & Guests. Contact Camille Mesite (949) 307-5537 or camillepsu@yahoo.com. Check the website www.ocpsu.com (“Events”) in the coming weeks for times. Join the OC Chapter to cheerlead the PSU Men’s volleyball team on March 12 at LBSU! Don’t miss out on this $6.00 special group rate that will surely sell out! 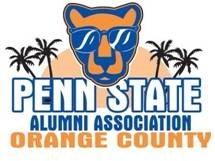 For information or to reserve your tickets, go to PSU LA Men's Volleyball or www.ocpsu.com. For more information: Brian Snyder, Sports Chair, (714) 893-1936 or Brian.Snyder@ferguson.com. Last day to send checks is Feb. 20. Tickets will be at a pre-game Happy Hour TBA or at Will Call 15 minutes prior to game time. Big Ten Alumni are performing standup comedy - 50% off with code "BIGTEN"
Set for Saturday, February 26th (6:00) at Tustin Lanes ($20 if pay by 2/22). Can't make it until later? Join fellow Badgers and other Big Ten at the Tustin Brewing Company.